Reading and share top 1 Jonathan V Last famous quotes and sayings. 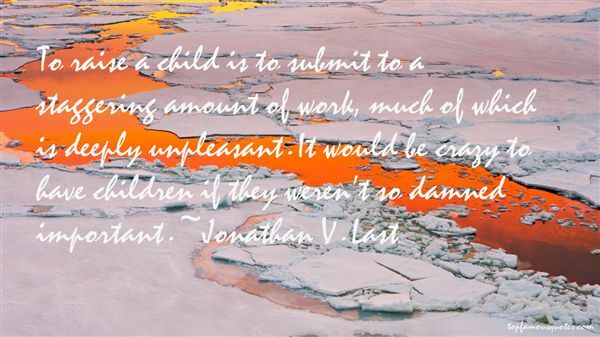 Browse top 1 most favorite famous quotes and sayings by Jonathan V Last. It's easier to fake it. When you fake it for sixteen years, it becomes part of you, something you don't think about."